Classics for less than €10 in total! 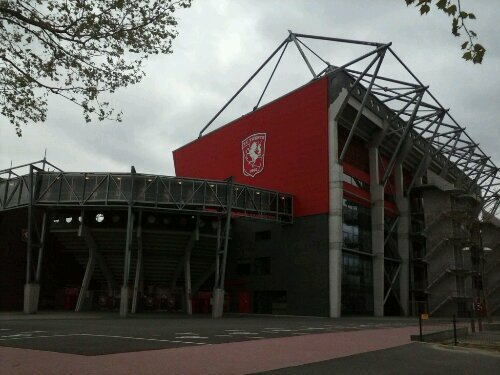 FC Twente’s stadium in the same complex as the exhibition hal the book fayre is in. The main hall of the book fayre, there are two other smaller halls. 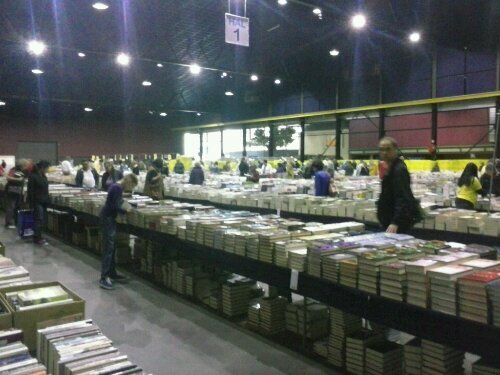 And back from the “Boekenfestijn” in Enschede. Got some heavyweights for a very low price. 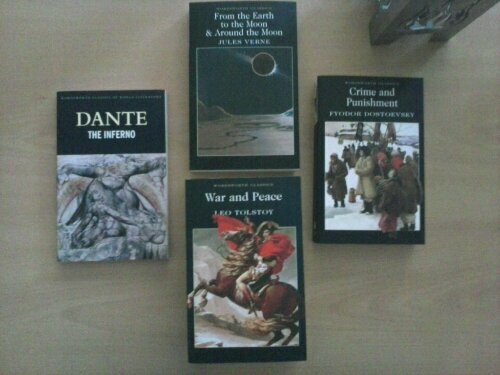 Dante, Verne, Tolstoy and Dostoevsky all for less than €10! I don’t usually read this sort of thing, my usual reads are Iain (M) Banks, Ian Rankin and Hunter S Thompson. I am currently reading Jack Kerouac’s On The Road. I just figured it would be good to stretch and challenge myself with some classics and at that price it was an oppertunity too good to miss. This entry was posted on Friday, May 10th, 2013 at 4:18 pm	and tagged with books, hobbies, Netherlands and posted in books, hobbies, Netherlands. You can follow any responses to this entry through the RSS 2.0 feed. « Book Fayre Fair or whatever today.